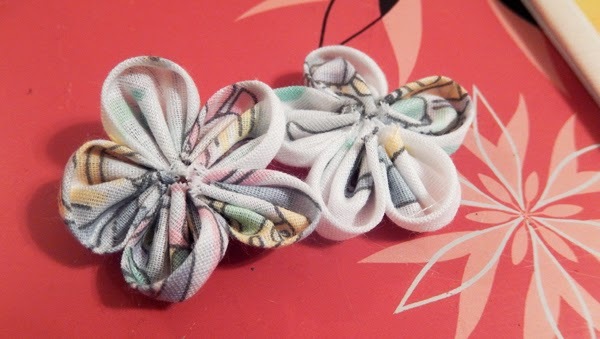 I love crafting gadgets - especially those from Clover (like their Chinese knot tool). 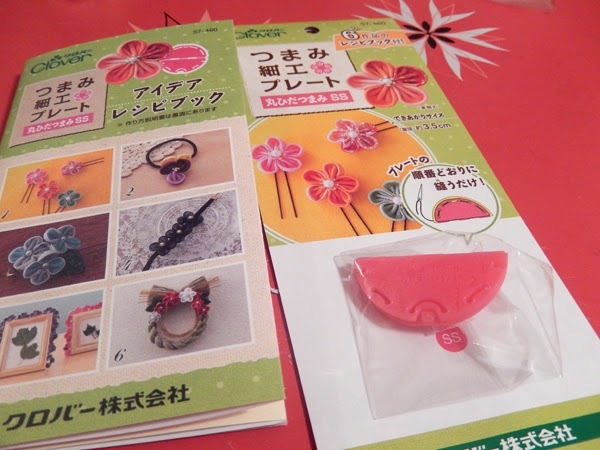 So of course when I found a craft store in the basement level of the Kyoto Tower building I had to look for their Clover brand section. It was pretty much all over the floor (duh, it's a Japanese brand) - they make sooo many more products than what I see imported my local Californian stores! But I restrained myself and only bought three sewing tools. You might be able to find these or something similar in the US, but I had not seen the small versions before. 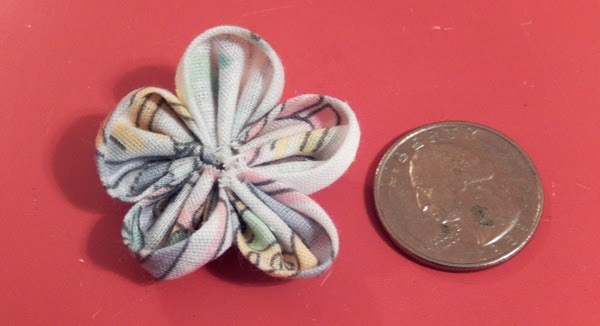 This tool makes cute little fabric flowers! Sakura / cherry blossom shaped! 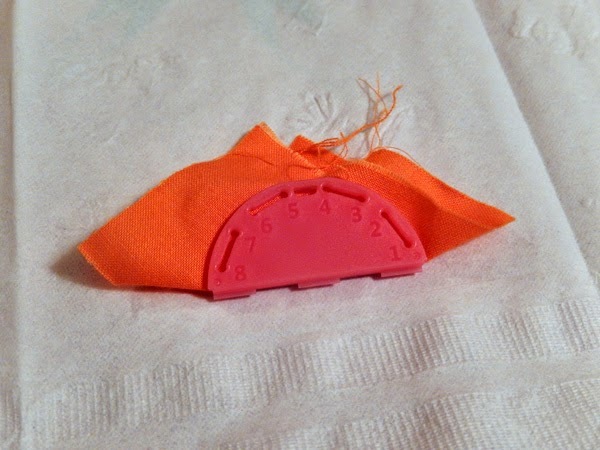 Cut the fabric down to size. 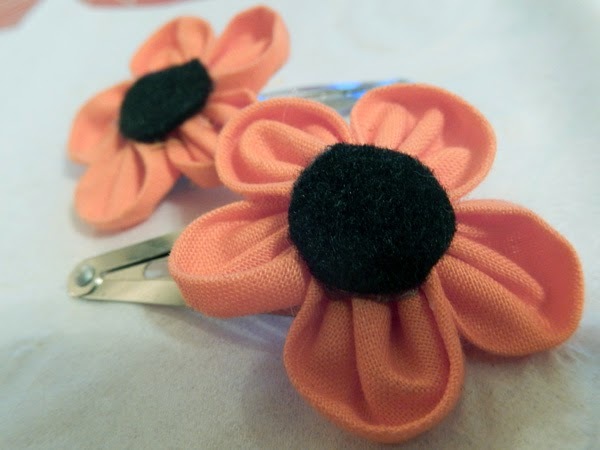 And then use a bit of knotted thread to sew in and out of each numbered hole. 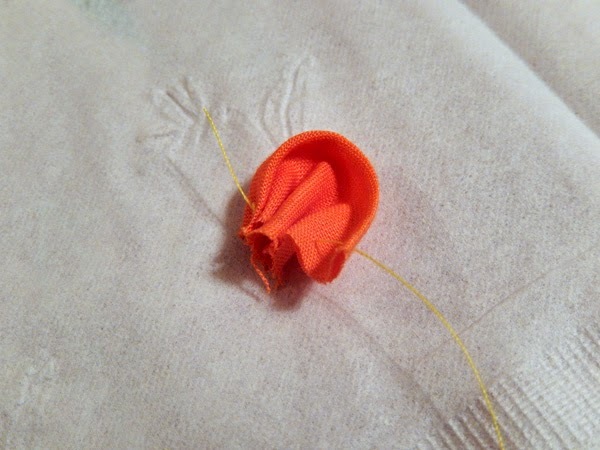 Once done, pop it out of the tool - perfectly even stitches! Pull the thread and you've got a petal. 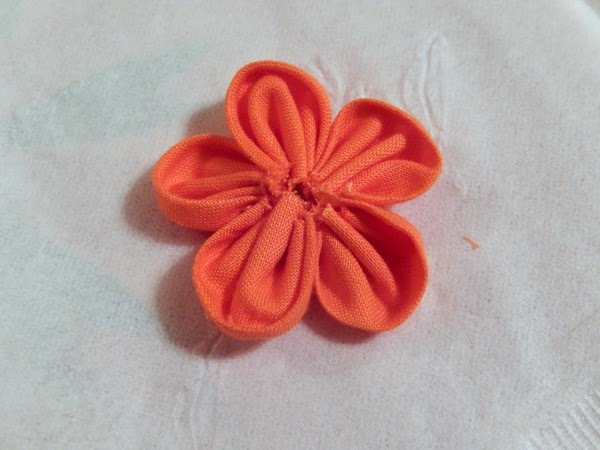 Don't bother cutting the thread, just continue the next petal on the same one. Repeat until you have five petals. 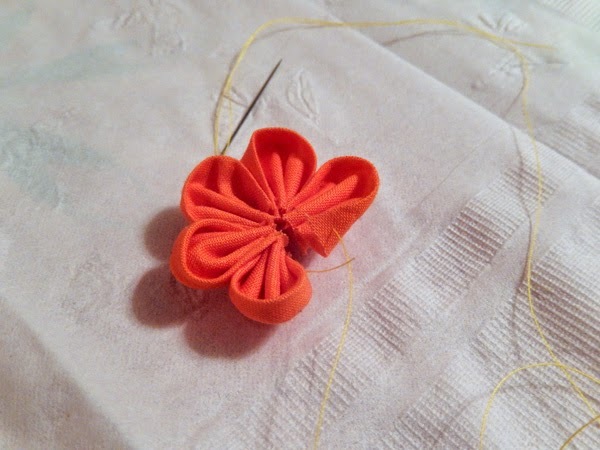 And then sew the first and last petal together and knot it in the back. Attach it to whatever you like. 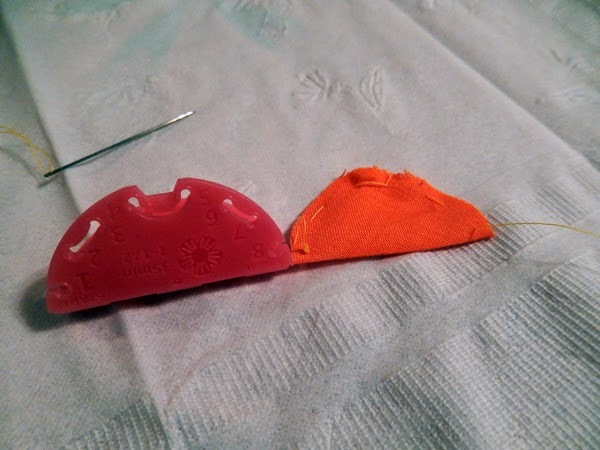 And add a button or piece of felt to cover the middle. 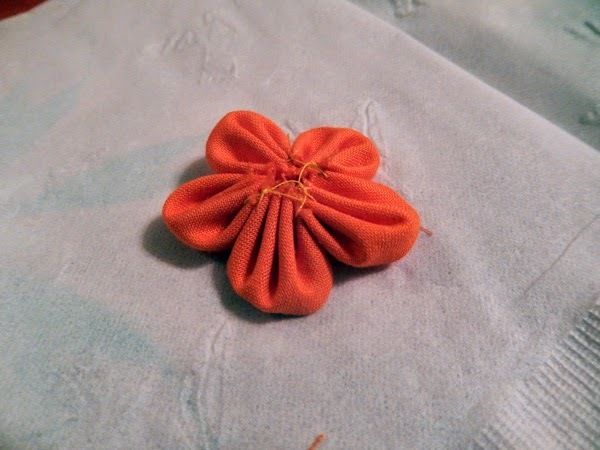 It's a great little project since it uses such small pieces of fabric, and I have SO MUCH fabric scrap around the house. 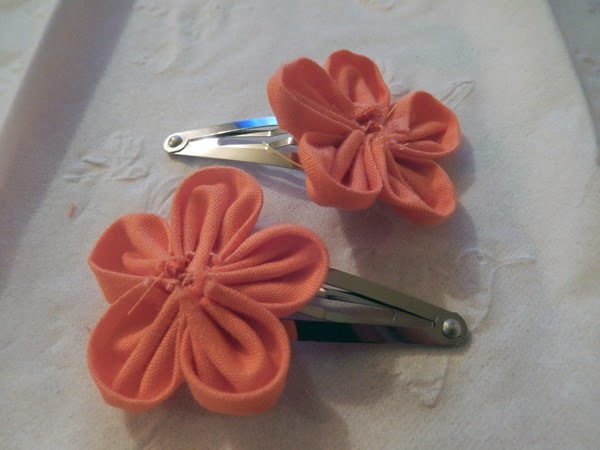 Now, obviously you can make these flowers without a tool. 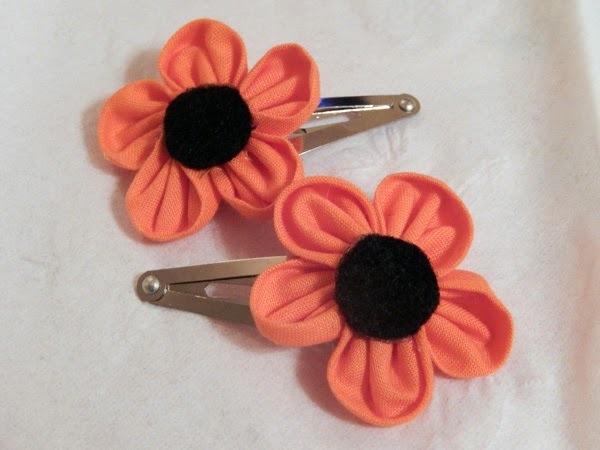 Just cut small circles and sew them in half. But I really like the tool because it takes a lot of the measuring and thinking out of the project. 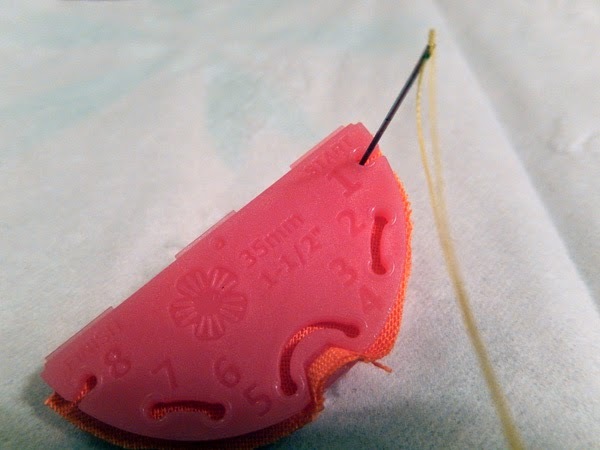 I don't have to worry about not cutting the circles the same, or not sewing evenly, because the tool is rather fool-proof. Fool-proof, but not cat proof! Sewing with a cat is nearly impossible! 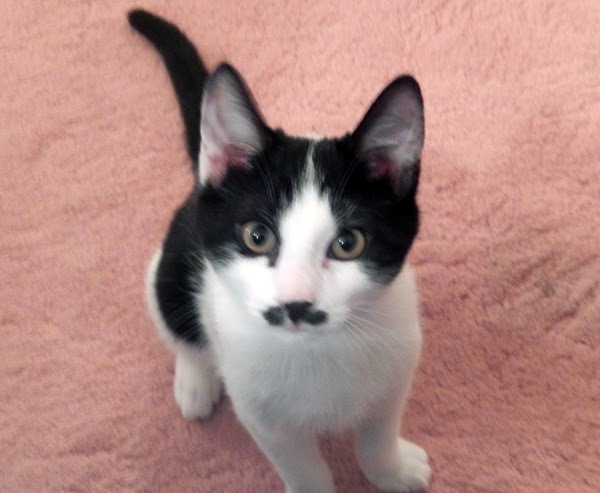 He keeps trying to attack the thread! Crampin' my style, Konbu - go play with Sak! Before the Japan trip I scoured the internet for information on the places we might want to visit. I ended up making a small booklet with about a paragraph of info for each historical site, so that when we visited we would kind of know the context of the place. I'll post my little paragraphs here before each recap post - most of my information came from a mix of samurai archives, jcastle, and wikipedia, so if I got something wrong then I apologize in advance to the true samurai-otaku out there. 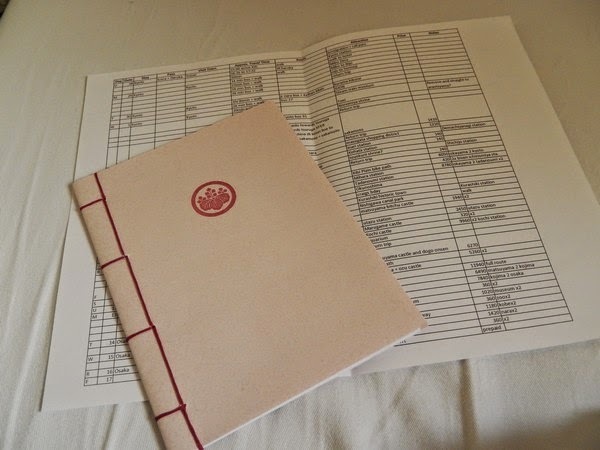 My booklet (and itinerary underneath). Complete with amateur stab binding! Anyway, it really made a world of difference to have that context! 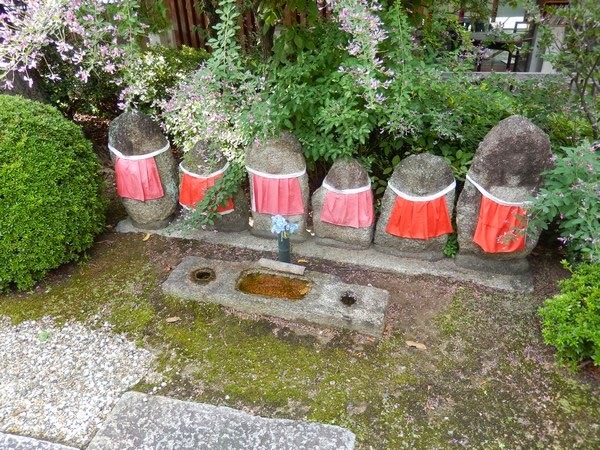 Especially when the itinerary included over ten shrines and nearly just as many castles. Most people can get shrined/castled out after a while, but knowing the story behind the places helped keep our interests up! 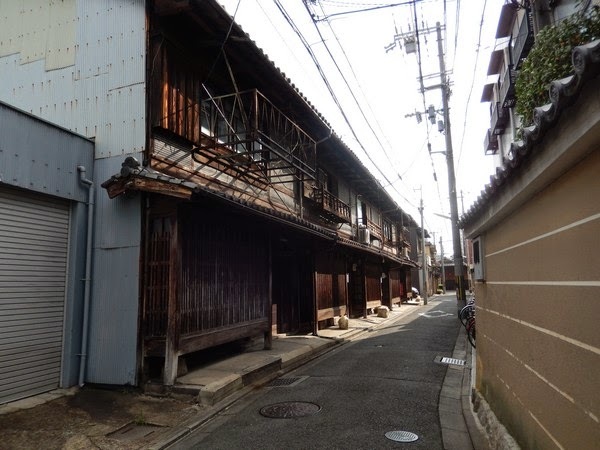 · 1864ish - Home to the shinsengumi before they moved to Hongan-ji. 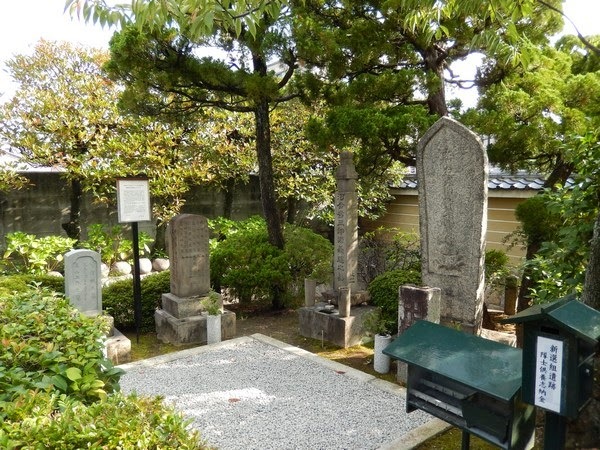 Kondo Isami and other shinsengumi buried here. 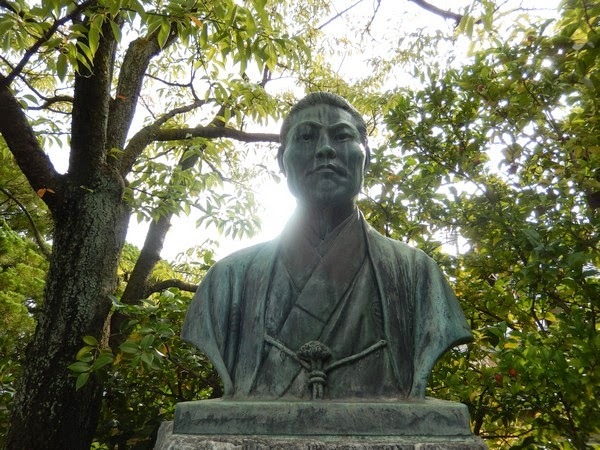 Kondo was one of the main shinsengumi leaders, along with Hijikata Toshizo, Okita Souji, and others. Most famous was the Ikedaya Affair, where the Shinsengumi fought and won against the shishi (anti-government faction). Kondo was beheaded in 1868 in Tokyo by the new government after being accused of murdering Sakamoto Ryoma. (He probably wasn’t the actual assassin though). 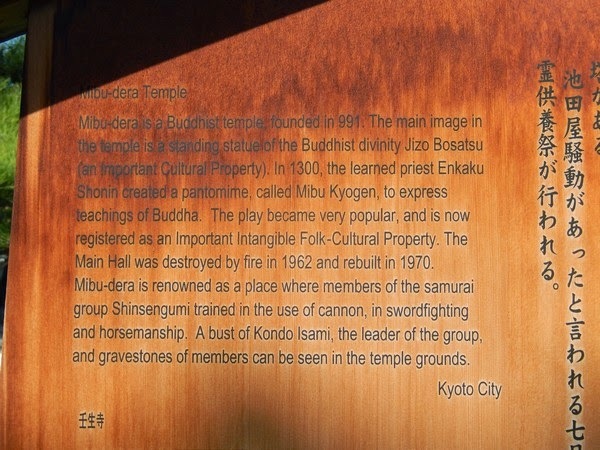 He has several grave sites, Mibu-dera being one of them. 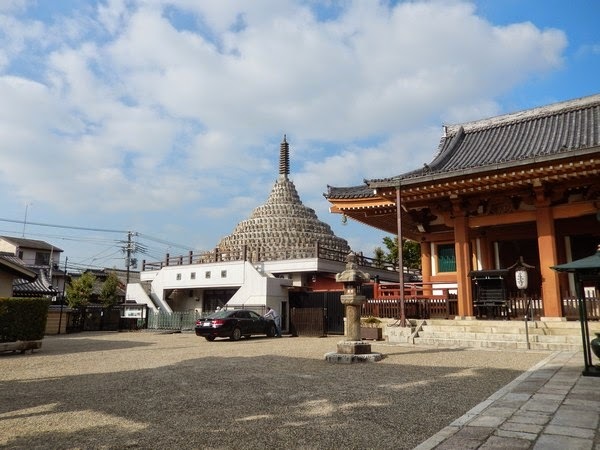 · The Buddhist shrine itself is dedicated to Jizo, in charge of pregnant women and babies, and children who die in infancy. The mon is a cherry flower. It was founded in 991 AD. It has been destroyed in several fires, the last being in 1962. It was rebuilt in 1967. Rurouni Kenshin. Peace Maker Kurogane. 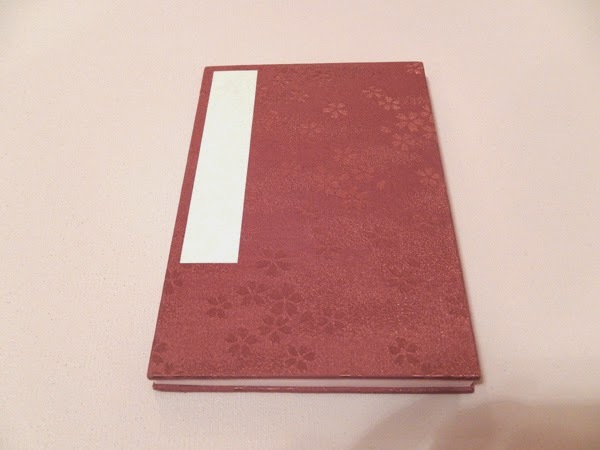 Hakuoki. There are many different anime that take place in the Shinsengumi time period. Though it is a manga called Kaze Hikaru that really got me interested in the era. That and Sak's fascination with Sakamoto Ryoma. (His live-action biography drama "Ryomaden" by NHK is on Hulu now if you are interested in learning about this very influential figure in Japanese history.) Anyway, might as well see where the "wolves of Mibu" grew their roots! The actual plaque in the shrine is much better than my booklet. 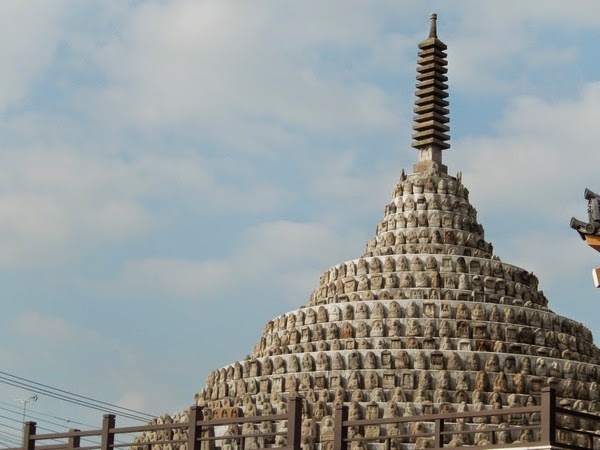 Though Mibu-dera is kinda really hard to find. 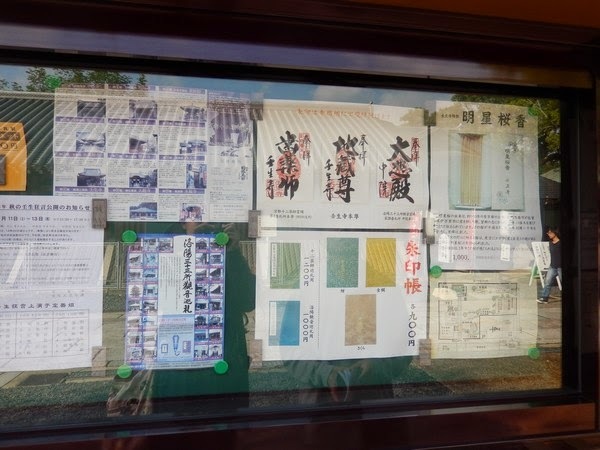 Since it is small and relatively insignificant compared to the plethora of grander shrines/temples in Kyoto, you won't find it on the standard issue tourist bus maps. I had pinpointed the location via google maps ahead of time, and Sak figured out how to get there via bus (Kyoto's all day 500 yen bus pass is SO useful). 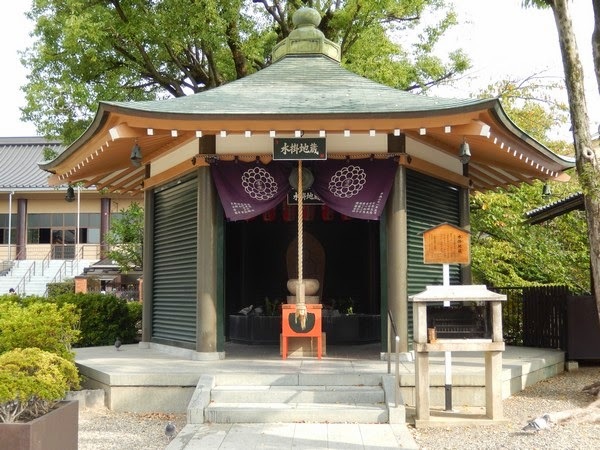 There was a shrine right after getting off the bus stop, but it's not Mibu! 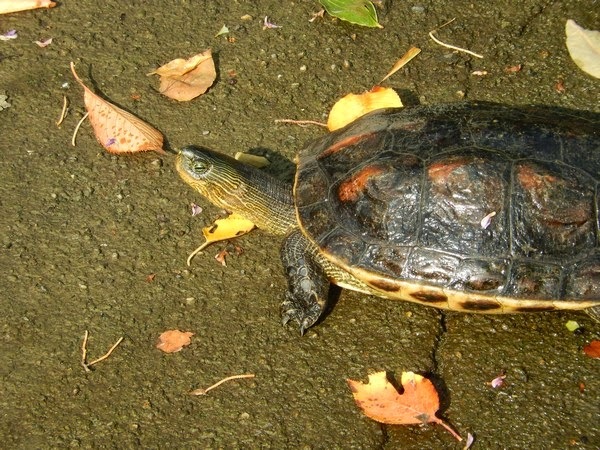 There's a small sign pointing you down an alley to Mibu-dera, so follow that instead. Once past the main gate, I got confused! 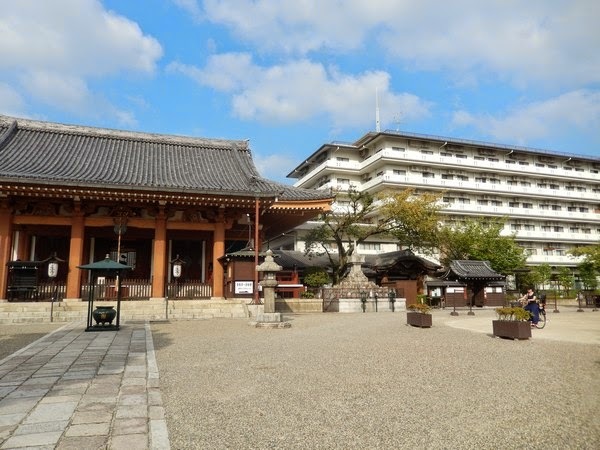 There were several shrine-like buildings, but there was also a parking lot in the middle, houses all over, and people riding bikes right through the complex! Very neighborhood and not anything like the larger, more touristy shrines I had visited before. 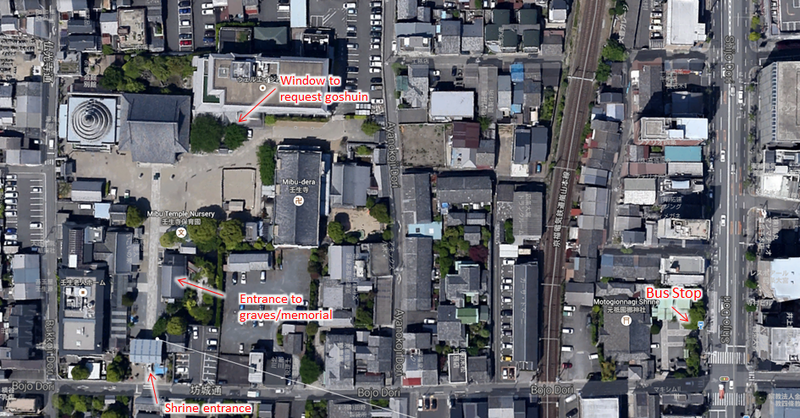 So we wandered around confused, peering into all the building trying to figure out a) where the shinsengumi graves were and b) where to get a shuincho. We ended up walking a big circle trying to figure it out, but eventually we gathered some courage and popped into the shrine's charm shop. Aha! 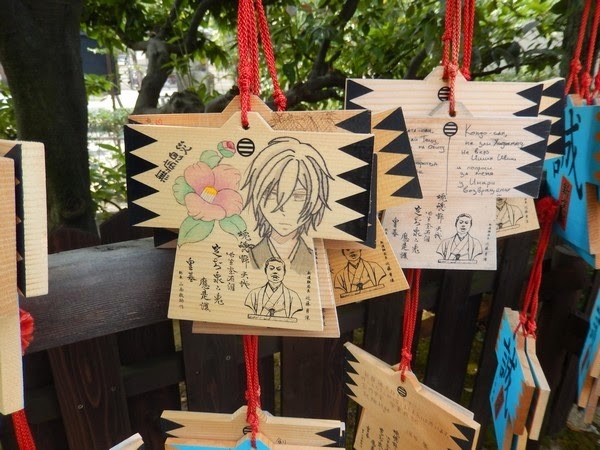 You had to go into the charm shop, and out the other side was the entrance to the shinsengumi graves. It was a 100 yen to go into the memorial garden, which is very small but definitely worth it. 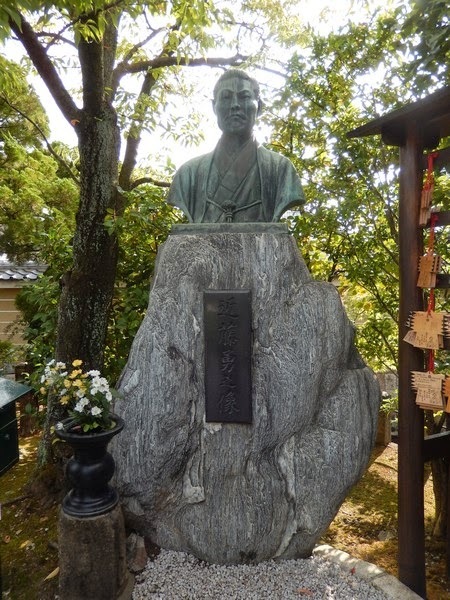 They have a big bust of Kondo Isami, one of the head honchos of the shinsengumi. I'm not sure if he's buried there or not, but several other shinsengumi members are. 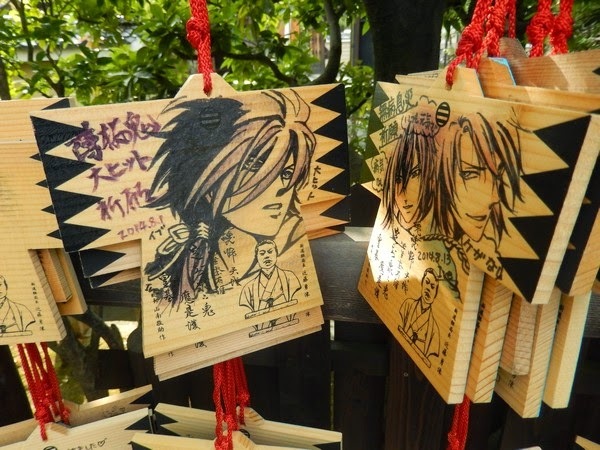 And to confirm we were in the right place, the wooden wish plaques (ema) were full of otaku artists! I didn't find a Kaze Hikaru one, but many others, fufufu. There was also a booklet by the entrance where otaku pilgrims could say "I was here". 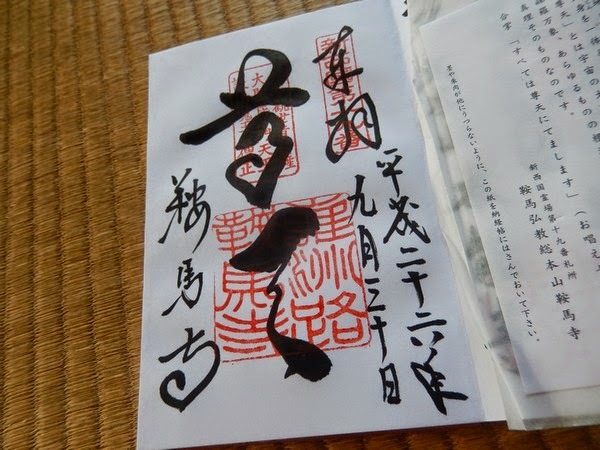 Anyway, after visiting Kondo-san, we walked in circles again until we found the goshuincho office, were we bought our book and first seal stamp. For anyone ever planning a visit there in the future, I will include this google map to hopefully prevent some of the confusion that we had! I think it'll enlarge a little if you click. 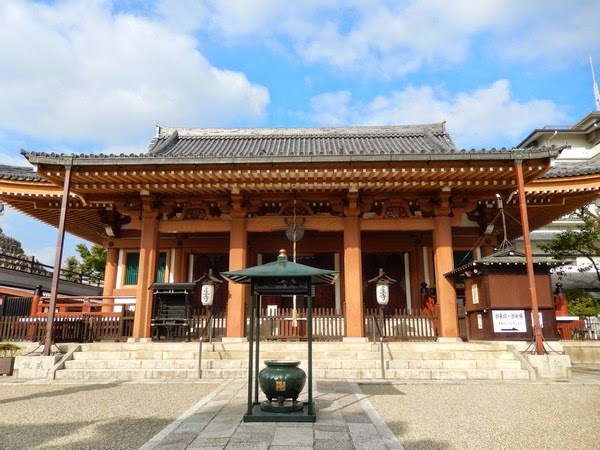 Mibu-dera might not be a huge tourist draw, but I thought it was interesting to see how the neighborhood grew up and into the shrine and its historical roots! 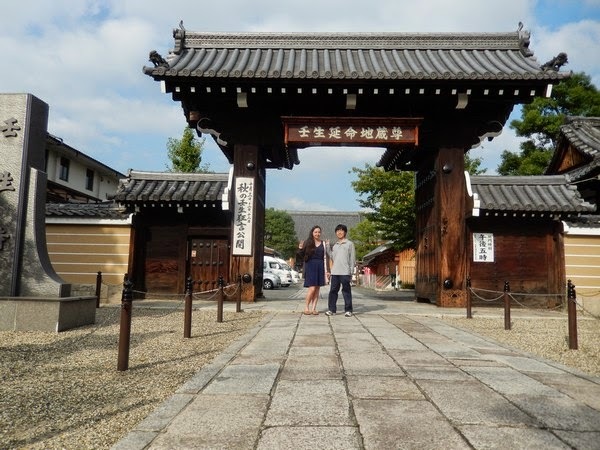 We spent a week in Kyoto, because last time we only had a couple days there and it felt really rushed. 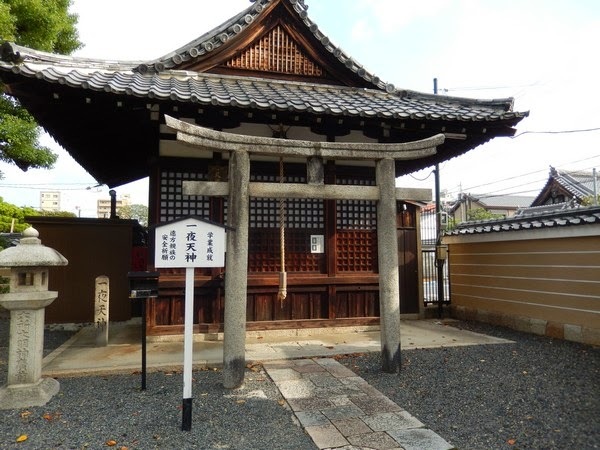 We both are quite interested in the Sengoku period and the Meiji Restoration era of Japanese history, and Kyoto is a natural hotbed for such things. So I did my research, developed an itinerary, had Sak check it for transportation feasibility, and off we went. 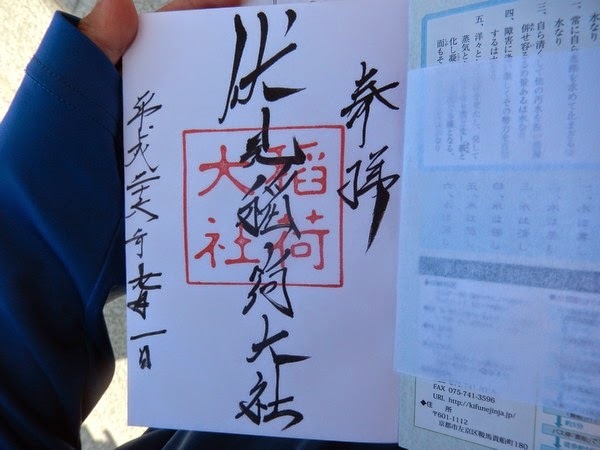 Since the itinerary included a fair amount of temples and shrines, I wanted to try collecting goshuin (red seals). 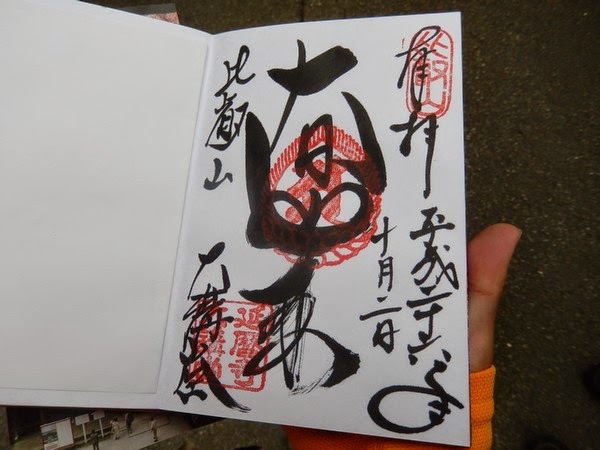 Basically, you can have your goshuincho (red seal book) stamped with the temple/shrine stamp, and then a priest will sign in calligraphy the name of the shrine/temple and the date of your visit. 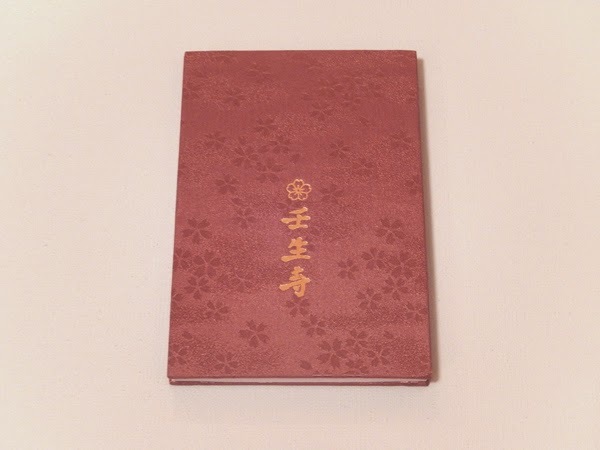 The colorful squares are the different shuincho (seal books) we had to choose from at our first temple - Mibu-dera! I picked the sakura design. I think they were supposed to write something on the other side though? Or maybe we were supposed to do that? 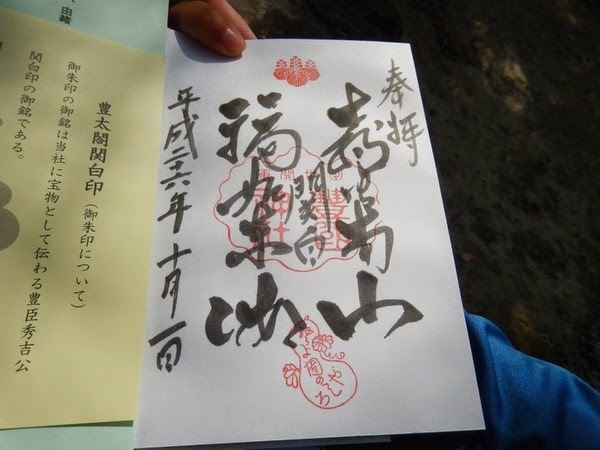 The shuincho came with our first shuin! Nice! 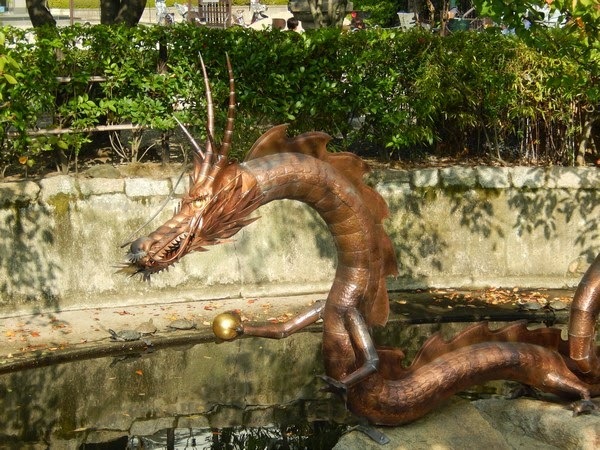 They are really cool, and a very unique way of noting your visit. 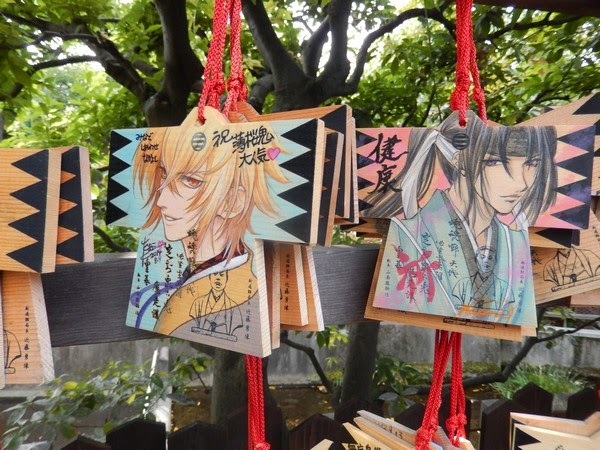 Most of the shuin are 300 yen. 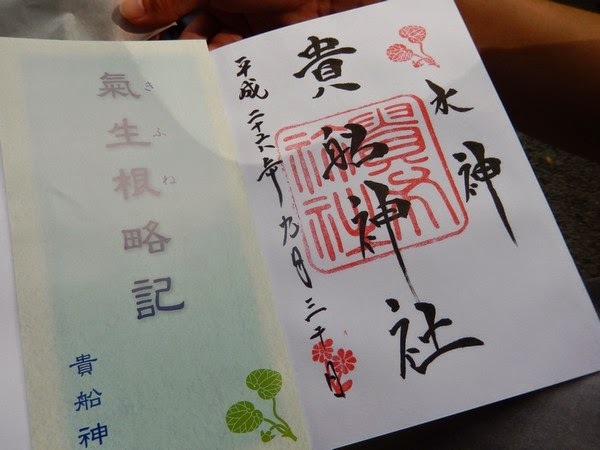 Some of the larger or more crowded shrines/temples will not write you an individual shuin - but rather a stamp or a pre-stamped paper upon entry. 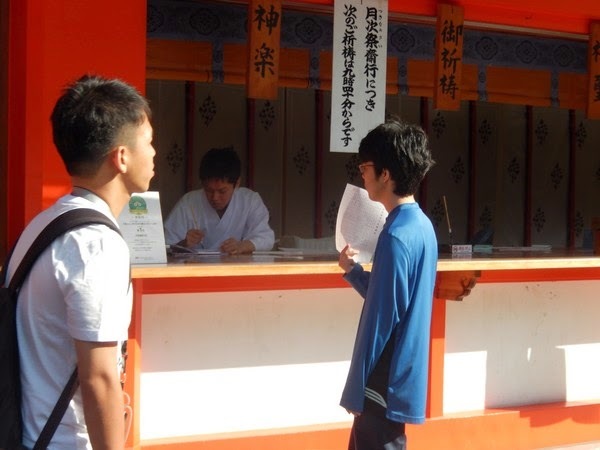 Sak waiting for his shuincho to be stamped/signed at Fushimi Inari. Though I found it easiest to just look for the last kanji, that looks like an "EP" to my white-girl eyes. 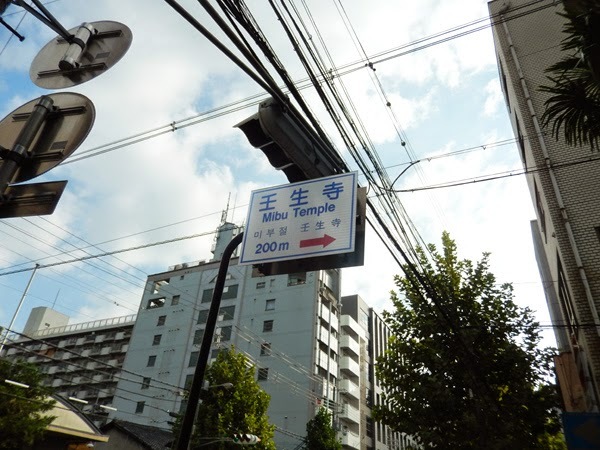 Usually if they have a sign somewhere with this kanji (typically with an arrow pointing where to go), the shrine/temple will do shuin. You can ask, or just wave your goshuincho around and they will know what you want. Initially I was worried about possible disrespect by mixing shinto and buddhist shuin in the same book, but no one seemed to care. Some of the priests liked to look through our previous pages to see where we've been! Haha. Shuin from Kurama-dera, which isn't really a shinto or a buddhist temple. 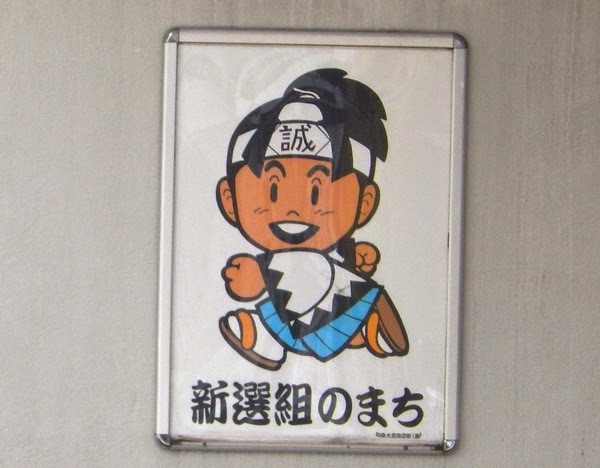 though the character in the lower left (chi?) is my favorite with its cute curly on the end! 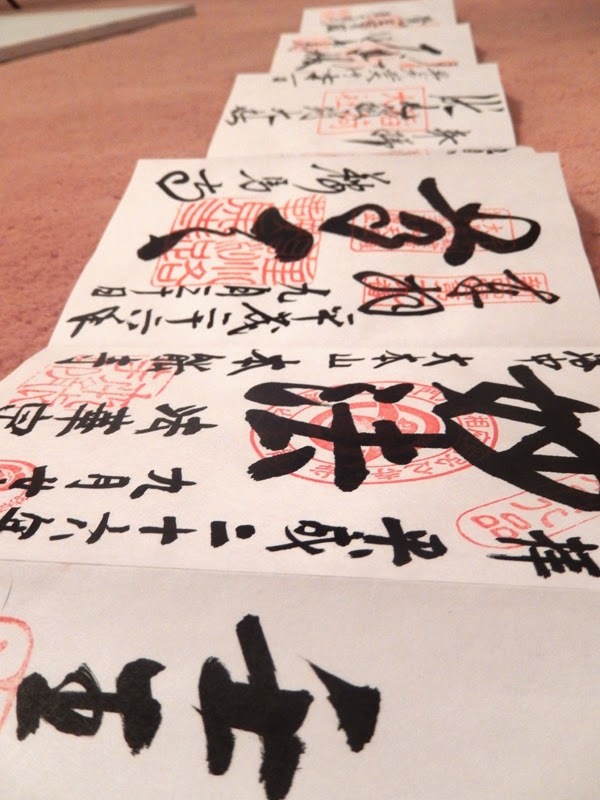 We collected 10 shuin, all but one of them hand written. It was fun to collect and to see different handwriting styles! I think they are quite beautiful! 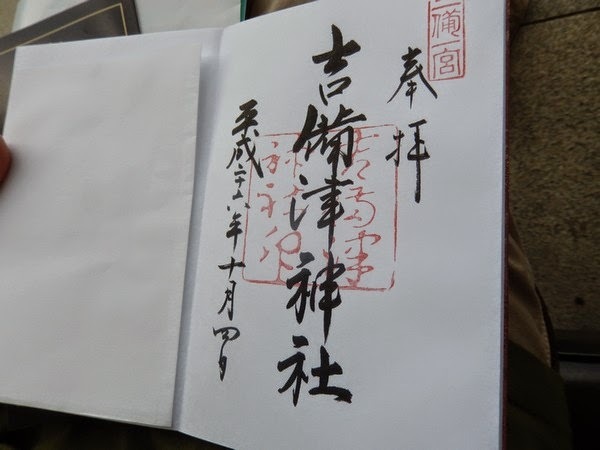 The fully stamped, non hand-written one, from Tenryu-ji. 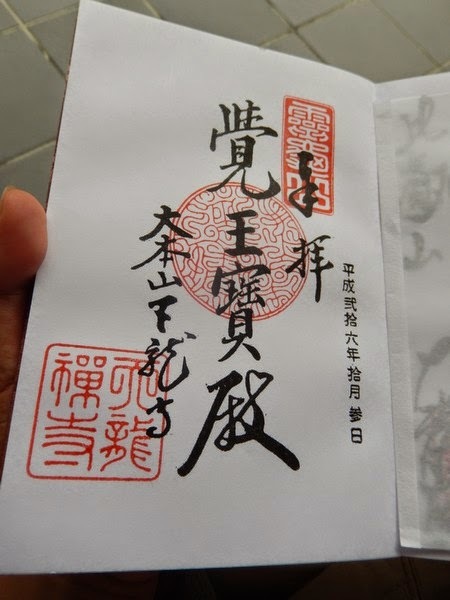 Sak wanted to fill up the whole book by going to random temples we saw, but I was pretty adamant about only getting seals for places that we had researched the history of first. More meaningful that way I think. Toyokuni shrine's shuin - Toyotomi Hideyoshi's shrine! Can't get much more steeped in sengoku history than Hideyoshi! 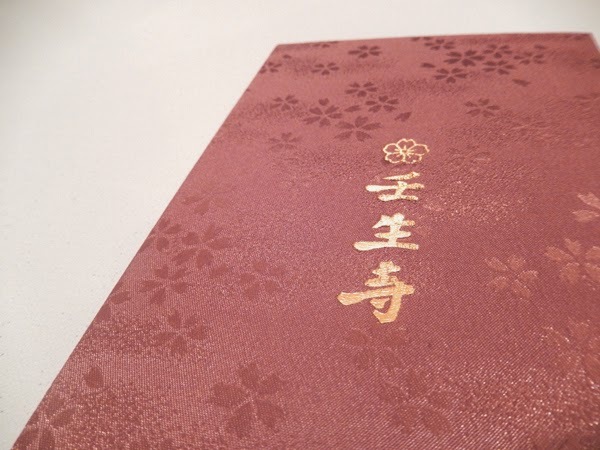 You do not need to be Buddhist or Shinto (we aren't) to request a goshuin. 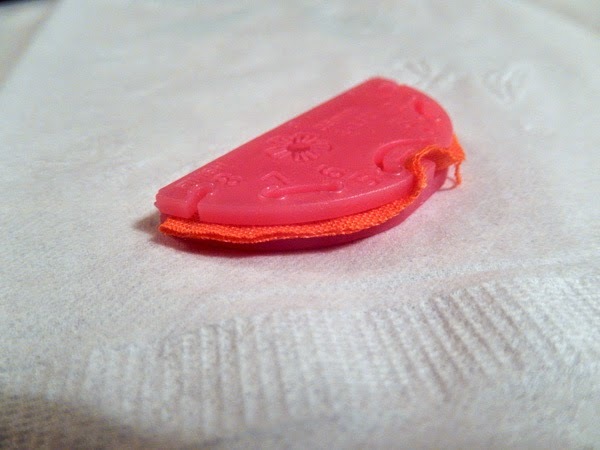 I don't think there is any particular religious significance to the seals, other than they are a way of recording one's temple/shrine pilgrimage. Per wiki, it was supposedly a receipt originally! Kibitsu Shrine. 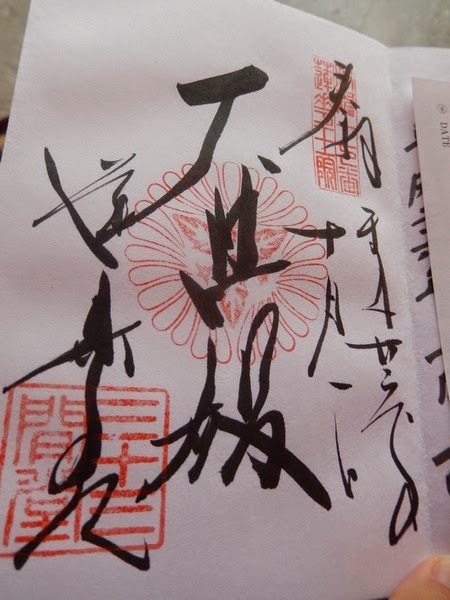 I love how every shuin has such unique handwriting! 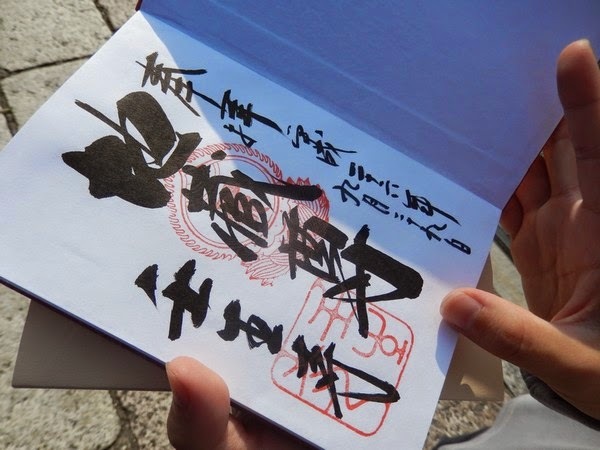 From Sanjusangendo temple, a wild style! Sak, waiting again. 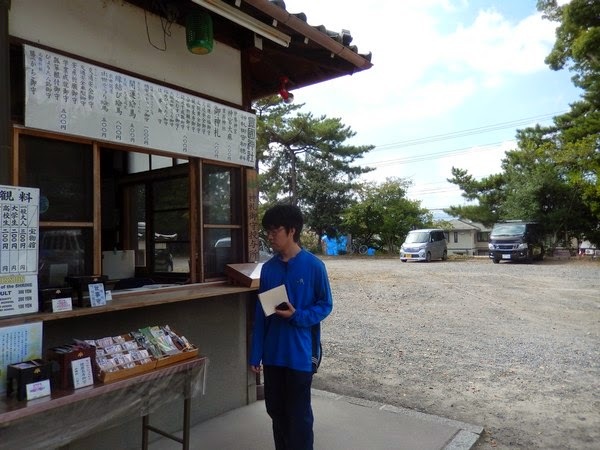 This was at Toyokuni shrine. 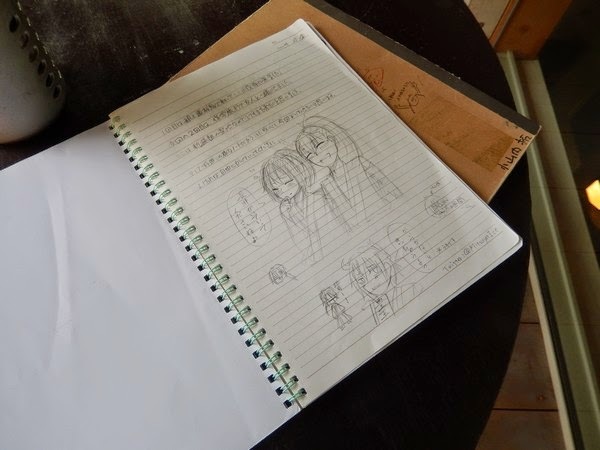 We will definitely have to go back someday so Sak can fill the book up to completion! I wish we would have known about goshuin during my first visit!